The story of the Taurus XL rocket — which launched from California’s Vandenberg Air Force Base early Friday morning, failed to reach orbit and then crashed somewhere in the Pacific Ocean — can perhaps be best told from this morning’s tweets. Here’s what happened. A clamshell-like shield called the fairing is designed to protect the spacecraft from atmospheric pressure and heat during launch, and then split open and fall away once it has reached the outer edge of the earth’s atmosphere. When working correctly, the fairing jettisons from the rocket, shedding weight and exposing the payload, after which the satellite is pushed gently away from the launch vehicle and toward orbit. That never happened. Instead it continued to cling to the nose of the rocket, and the burden of weight prevented Taurus XL from achieving the necessary velocity to move into orbit. 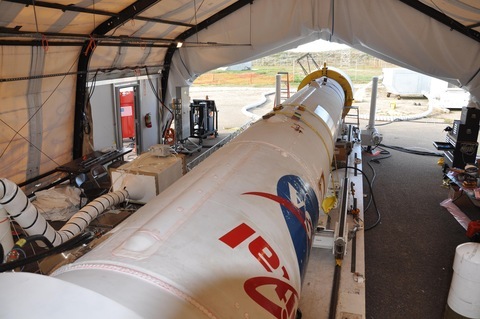 Hal Maring, program scientist for the mission, said he’s been preparing for this launch for more than eight years now. NASA has created a Mishap Investigation Board to evaluate the cause of the failure. During a news conference following the launch, scientists said the team had spent the last two years analyzing what went wrong with NASA’s Orbiting Carbon Observatory, and that included extensively investigating, testing and redesigning the system’s components. They went into this flight confident, and came out devastated, said Ron Grabe, executive vice president and general manager of the Orbital’s Launch Systems Group, which made the rocket and satellite. “Let me just say that there’s a great deal of emotional investment on the part of all these players on any space flight, but that’s probably doubly so on a return-to-flight effort like this one,” he said.